Please voice your support for Bike Lanes & Complete Streets on Chamblee Dunwoody at the Dunwoody City Council meeting on Monday night 10/12. 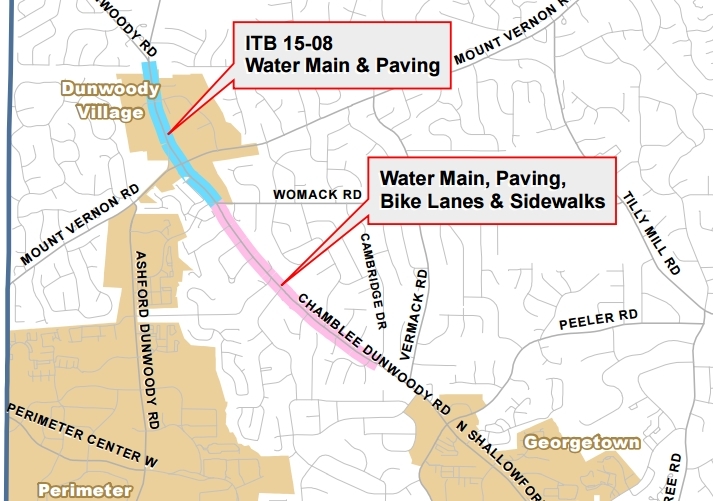 The council will be voting on installing sidewalks & bike lanes along Chamblee-Dunwoody from Cambridge Drive to Womack Road. Please also voice your support for the city to narrow travel lanes and provide bike lanes — or wide shoulders northward from Womack to Roberts. The Chamblee Dunwoody corridor is formally designated in our 2011 Comprehensive Transportation Plan to include bicycle facilities. Please come to city hall by 5:45 pm & sign up for Public Comments. You’ll get 3 minutes to thank our Mayor & Council for adding this safety improvement and “Completing” our streets for human-powered transportation choices. Before the meeting starts at 6:00 pm, be sure to fill out a Public Comment card (available at the table next to the entry door) & hand it to the City Clerk before the meeting starts.